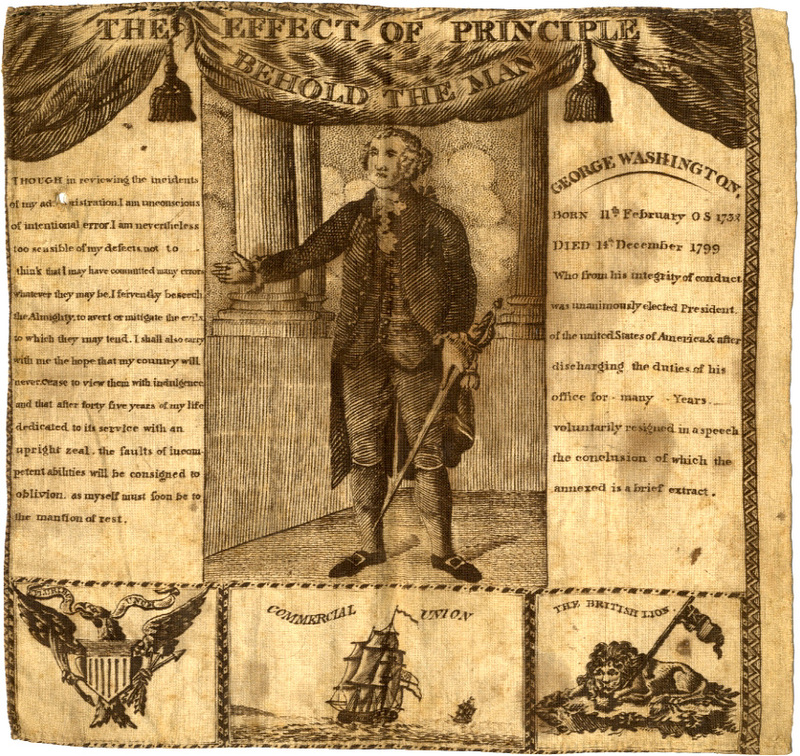 Kerchief commemorating President George Washington, with excerpt from Farewell Address, c. 1806. Glazed cotton. Collins 38. Legend, THE EFFECT OF PRINCIPLE/ BEHOLD THE MAN, above full-length portrait of Washington, after painting by Gilbert Stuart. Portion of Farewell Address on right; eulogy on left. United States eagle, clipper ship "Commercial Union" emblem, and "The British Lion" across bottom. Design based on mezzotint of "General Washington, Father and Protector of America." 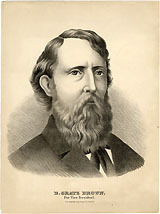 According to Collins, produced by the Germantown (Pennsylvania) Print Works. Stitched border on three sides (likely a pillow cover at one time). Evenly toned, with some darker areas of foxing. 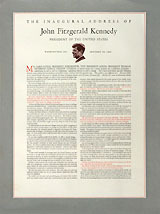 Small hole in the text of the eulogy. 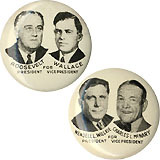 Superior to most examples, and comparable to the Frent example, which sold for $812.50 (Heritage Auctions, The David and Janice Frent Collection of Presidential & Political Americana, Part 3, Lot 43025). One of the earliest American political textiles that can be acquired.